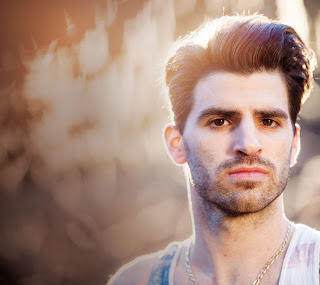 Breakthrough country artist Mitch Rossell is swiftly catching the attention of Nashville. Named one of the “Top 20 Country Artists to Watch in 2016” by Huffington Post, Rossell is primed for breakout success. Rossell, who recently signed with William Morris Endeavor Entertainment (WME)'s Rob Beckham and Barrett Sellers, has been hand-selected by Garth Brooks to make his opening debut on the Garth Brooks World Tour with Trisha Yearwood at 7:00 p.m. on June 24 at Las Vegas’ T-Mobile Arena. Brooks discovered Rossell's music in May 2014 and immediately took the up-and-coming artist under his wing. “Mitch has one of those voices that spins your head around the second you hear it, but that is only the beginning," Brooks noted. "Once he has your attention, get ready for some of the best lyrics and melodies you have ever heard." WME will be cultivating additional venue opportunities in markets where Rossell is opening for Brooks, who also recently partnered with WME. "We are thrilled to have Mitch join the WME family. He is incredibly talented and from the moment we met him, we knew he had what it takes to become a star,” said Sellers. “We are excited to begin this journey with him - there are big things in store!" For more information on Rossell, visit www.mitchrossell.com.